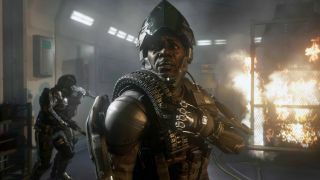 Call of Duty: Advanced Warfare came out to much fanfare last week, but as is the way, its release hasn't been entirely trouble-free. Activision said a couple days ago that a patch fixing the worst of its problems would be released soon, and as promised, it's now ready to go. The biggie in that list would presumably be connectivity optimizations. Activision thanked players for their support and feedback in the patch notes, and said that this update is "only the start." Haven't played Advanced Warfare yet? Check out our review to find out more.